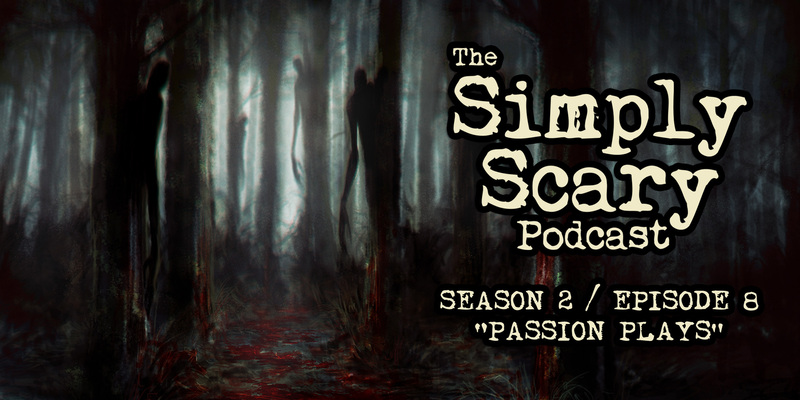 Welcome to Season 2, Episode 8 of The Simply Scary Podcast. This episode of our program is hosted by G.M. Danielson. “The Shadows Will Get You” written by Brandon Wills and performed by Olivia Steele, featuring Kyra Greif (Lauren), Brindolyn McNair (mother), Jason Hill (Frank/father), Heather Ordover (Aunt Charlotte), Jesse Cornett (Uncle Victor), and Aaron Ordover (Arthur). Production by Karen Gunnarsdóttir and Jesse Cornett. Score by Jesse Cornett. Passion can be as painful as it is pleasurable. This next story will acquaint you with malevolence of a different kind as the dark proclaims its passion for consuming you. “Warning Signs” written by John Andreini, and performed by Brindolyn McNair (Janine Wallace/narrator), featuring Jason Hill (Julian Cutter), Eden (Carol), Jesse Cornett (retired partner, second officer), and Steve Taylor (Officer Kendall). Production by Christopher Rowe and Jesse Cornett. Score by Jesse Cornett. As we take the final turn on our journey we will bring you something that is a bit different from your normal creepypasta horror fare. This story borrows from a classic tale to introduce to us how old fears can be as frightening as new fears. And curiosity can definitely kill the cat. “A Heart’s Obsession” written by Viktoria Wasiltchenko, and performed by Eden (narrator). Production by Jesse Cornett. Score by Jesse Cornett. Enjoy a delicious helping of homemade delight with this romantic-horror noir. When the beat of a heart is what motivates you nothing will satisfy the urge. And the only answer is to be close to the one you love, but how close is too close? “Red” written by Leanne Jamison, and performed by Ashley Tolfo (narrator, Jenna), featuring Luke Fischer (man), Jesse Cornett (warden), Olivia Steele (interviewer), Otis Jiry (president), and Eden (volunteer). Production by Chazz Ravenelle and Jesse Cornett. Score by Jesse Cornett. It is time to make you stand at attention as the passion of a nation works to overcome the problems of modern society- free will, open thought and individual consciousness. But can the passion of individuals stand up to the totalitarian regime of the not so distant future? 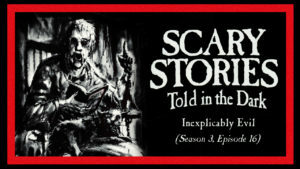 A NOTE TO LISTENERS: The episode available here features the first 2 stories only. To access the full-length, advertisement-free episode, which contains all 4 stories, sign up to become a Patron today at Chilling Tales for Dark Nights. In our Patrons-only members area, you’ll get access to HQ MP3 copies of all of our podcast episodes – totally free of advertisements – plus access to hundreds of stand-alone audio horror productions dating back to 2012. You’ll also be helping to support this program and the team that bring it to you every week. Thank you for your support! Audio program © 2017 Chilling Entertainment, LLC – All Rights Reserved. No reproduction or use of this content is permitted without the express written consent of Chilling Entertainment, LLC. The copyrights for each story are held by the respective authors.